Close-up of the mouth of a patient with an open bite. 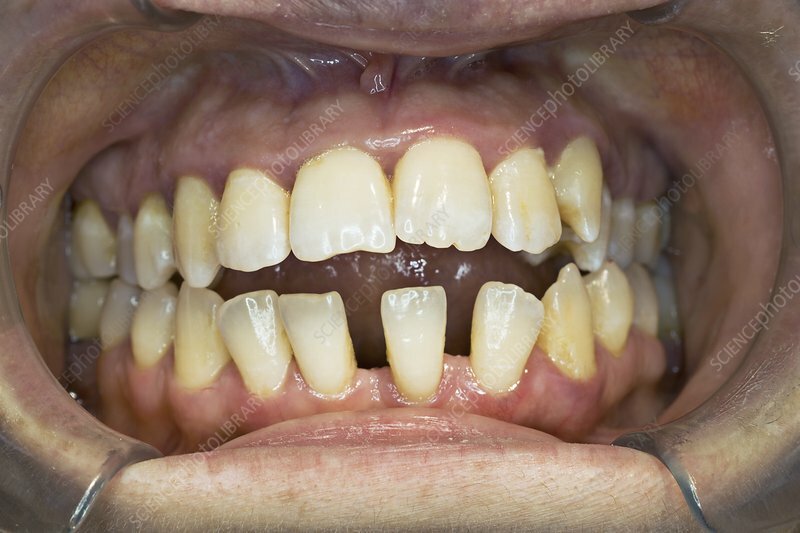 An open bite is a form of malocclusion, a misalignment between the teeth of the upper and lower jaws as they close, resulting in a gap on closure. Malocclusion may be inherited, or the upper and lower jaws may be different sizes. Crowding of the teeth in the mouth may also cause the condition. Braces may be used to correct the position of the teeth and in cases of overcrowding teeth may be extracted. In extreme cases surgery to lengthen or shorten the jawbones may be necessary.